Construction official Gennaro “Jerry” Lobozzo found himself in an odd spot on Tuesday afternoon. He was forced to testify against his employer as a witness for the Art Factory. Lobozzo’s testimony is needed by lawyers Michael Ruben and Joe Afflitto, who represent the Art Factory and its tenants, to establish the large number of violations given to their clients, were improperly issued. “Invalid,” said Lobozzo of the tickets that were issued to the Art Factory and its tenants. Each violation was issued for lack of certificate of occupancy. Under questioning from Afflitto, Lobozzo said housing inspector Adalberto Soto, who issued the tickets, was not qualified to issue the violations. “Why is that?” asked Afflitto. “Because certificate of occupancy falls under the Uniform Construction Code (UCC),” replied Lobozzo. “So he’s not qualified to issue summonses under the Uniform Construction Code?” remarked Afflitto. “Right,” replied Lobozzo. He said Soto does not have the necessary UCC training and licensing. 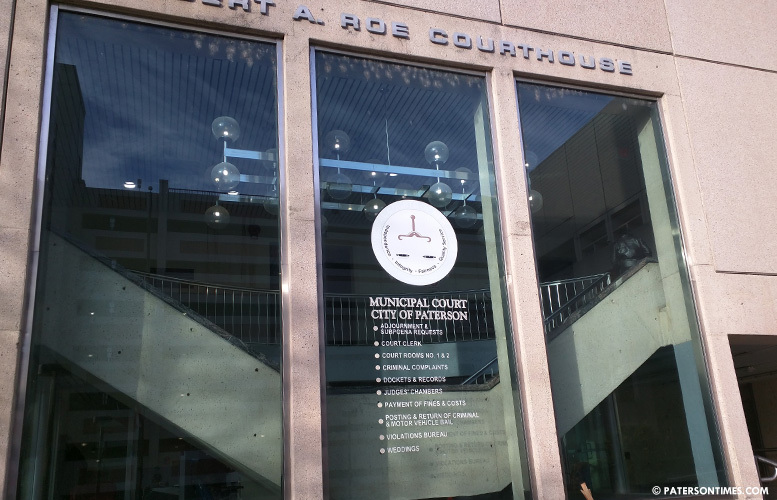 In this case, the summonses do not cite the UCC, but rather a municipal ordinance. Prosecutor Vincent Stampone asked Lobozzo whether the Construction Office has any authority to issue summonses. “No,” replied Lobozzo. His office has the power to issue stop-work orders, he said. By stating the CO issue falls under UCC, Lobozzo contradicted his testimony before the Construction Board of Appeals. At a hearing before that board, which was cited by Stampone, Lobozzo stated that the CO matter was “strictly a zoning issue”. Ruben objected to using Construction Board transcript at the trial. He called it “hearsay.” However, the judge allowed it. Lobozzo did not deny that he described it as a zoning issue, but stated he did not remember why the Art Factory was before that board. He said that testimony occurred two years ago. The construction board handles all violations having to do with the Uniform Construction Code. “What changed? You said then it was zoning, now it’s not,” remarked Stampone. Lobozzo throughout the testimony cited a letter from Robert Hilzer, of the Office of Regulatory Affairs at the New Jersey Department of Community Affairs (DCA), which states UCC violations, including CO issues, are to be handled by the construction official and his personnel. This letter changed the way the city issued violations for lack of CO, said Lobozzo. Indeed, a directive from the city’s law director, issued on Oct. 6, 2017, orders certificate of occupancy and continued certificate of occupancy matters are to be handled by construction official and other UCC professionals and not inspectors from Community Improvement Division. “A city inspector cannot issue a violation for a municipal ordinance?” asked Stampone. “A city inspector can issue that under that ordinance,” replied Lobozzo. Stampone attempted to impeach Lobozzo as a witness by pointing to his contradictory testimony. “When you were community improvement director you oversaw the issuance of those very summonses, did you not?” Stampone. “Yes, but when I was director of Community Improvement, I didn’t know about this ordinance. There’s hundreds of ordinances,” replied Lobozzo. “It was two years ago,” said Lobozzo. He was thrust into the role as Community Improvement director by former mayor Jose “Joey” Torres at the retirement of the previous director Kathy Easton. In his testimony, Lobozzo appeared to state, all buildings, that are presently occupied, by virtue of having occupants, have a certificate of occupancy. This appears to be a novel interpretation of municipal ordinance which states: “It shall be unlawful to use or occupy” a building without a CO. In some instances, the city has issued temporary COs to allow for occupancy of a building. Lobozzo often veered off topic which resulted in a clash between Ruben and Stampone. Ruben sought to end Lobozzo’s testimony because it was taking too much time before Stampone could finish his cross examination. At one point, Lobozzo described his co-workers at the Community Improvement Division as “these kids” with more power than sworn police officers. Lobozzo is the first witness in the case. The city has several witnesses including inspectors and Community Improvement director David Gilmore. The trial abruptly ended with Stampone telling judge James Sieradzki of Clifton that he is not feeling well. It is expected to resume on Dec. 19, 2017 and Jan. 9, 2018 at 1:30. The court set two dates.